If your looking for Roller Shutters in Basildon Essex then you have come to the right place. Essex Roller Shutters are a family run business created to provide good quality products, supported by a reliable, professional service whilst striving to keep costs to our clients low and affordable. 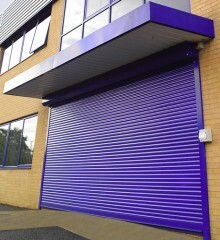 We offer regular roller shutter maintenance at highly competitive rates. We are also available for roller shutter repairs in Basildon and surrounding areas. Being one of the leading roller shutter companies in Essex our priority is to provide products capable of protecting your property, diversification of our product range has enabled us to offer a strong and secure product which is pleasing to the eye without compromising security. Our founder owner has worked within the Security Door & Roller Shutter Door Services industry since 1985 in all areas supplying Roller Shutters in Chelmsford, Basildon, Enfield, Southend and Basildon and has a full and diverse knowledge of the trade, having a wealth of experience at all levels and departments including Manufacturing, Installation, Logistics, Sales, Research & Design, Estimating, Project Management, Purchasing and Finance.